Image processing on quantum platform is a hot topic for researchers now a day. Inspired from the idea of quantum physics, researchers are trying to shift their focus from classical image processing towards quantum image processing. Storing and representation of images in a binary and ternary quantum system is always one of the major issues in quantum image processing. This chapter mainly deals with several issues regarding various types of image representation and storage techniques in a binary as well as ternary quantum system. How image pixels can be organized and retrieved based on their positions and intensity values in 2-states and 3-states quantum systems is explained here in detail. Beside that it also deals with the topic that focuses on the clear filteration of images in quantum system to remove unwanted noises. 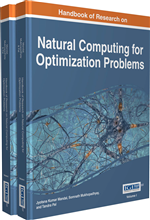 This chapter also deals with those important applications (like Quantum image compression, Quantum edge detection, Quantum Histogram etc.) where quantum image processing associated with some of the natural computing techniques (like AI, ANN, ACO, etc.). (1) where x and y belongs to a complex vector space and |x|2 + |y|2 = 1, which represents square of the length of the vectors, sometime called “Unit Vector”. They are also called probability amplitudes. So now we can define that qubit is unit vector in a two dimensional complex vector space (|> -Dirac’s Ket notation) (Sreenivasachari & Ravikumar, 2013; McMahon, 2007).The special states |0> and |1> are known as computational basis states, and produces an orthonomal basis for this vector space. It cannot be examined a qubit to determine its quantum state, that is, the values of x and y. Instead, according to the quantum mechanics, it can be only acquired much more restricted information about the quantum state. When the measurement of a qubit can be either the result 0, with probability |x|2, or the result 1, with probability |y|2. Naturally, |x|2 + |y|2 = 1, since the probabilities must total to one. Geometrically, we can interpret that the qubit’s state be normalized to length 1 as a much needed condition. Thus, in common a qubit’s state is a unit vector in a two-dimensional complex vector space(Michael A. Nielsen et al., 2010). Qubit: Just as a bit is the basic unit of information in a classical computer, a qubit is the basic unit of information in a quantum computer. In a quantum computer, a number of elemental particles such as electrons or photons can be used (in practice, success has also been achieved with ions), with either their charge or polarization acting as a representation of 0 and/or 1. Each of these particles is known as a qubit; the nature and behavior of these particles (as expressed in quantum theory) form the basis of quantum computing. Qutrit: A qutrit is a unit of quantum information that exists as a superposition of three orthogonal quantum states. The qutrit is analogous to the classical trit, just as the qubit, a quantum particle of two possible states, is analogous to the classical bit. Quantum Oracle: An oracle is the portion of an algorithm which can be regarded as a “black box”. Theoretically, its implementation does not need to be specified. However, in practice, the implementation must be considered. Quantum Computing: A theoretical computation systems that uses the concept of quantum mechanical phenomenon with the knowledge of basic computation. Quantum Mutation: Quantum mutation can be achieved by using the concept of evolutionary computing (like, Genetic algorithm) with quantum computing. Quantum Image Filtering: This is the advantageous application of reversible nature of quantum computation. Quantum filteration can be achieved by exploiting the quantum Fourier transform and the principle of the quantum oracle. Ternary Quantum Computing: It is a special type of quantum computing where the concept of three basis states is used. It is a simple application of multilevel quantum system where a state can be represented in a combination of three normalized basis states (by a superposition of 3 n basis states).